You may don’t know it, but it’s pretty easy to stay in a Tuscany castle hotel, and the good knew is that prices are very reasonable. Here is my selection of Tuscany castles where you can sleep and treat yourself like a king! Well, let the dream come true! Tuscany offers an incredible variety of castles, and many of them have been turned into country houses and luxury resorts. 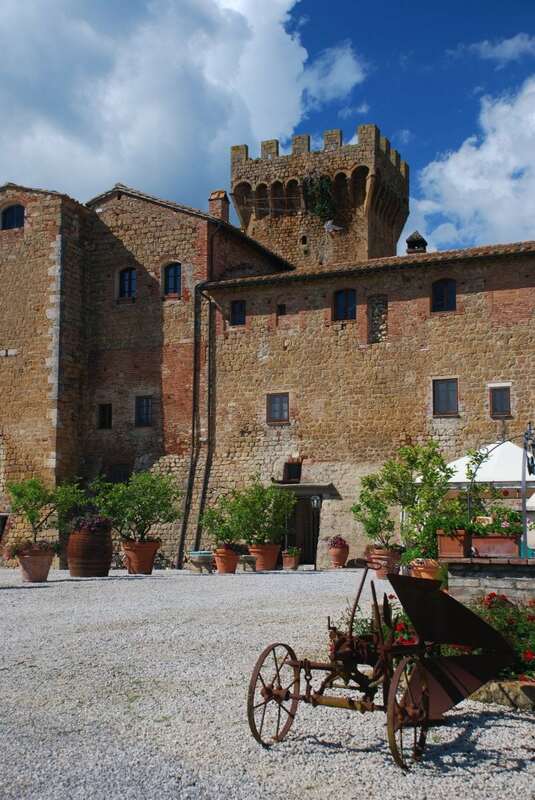 In this post I’d like to share with you my favorite Castle accommodations in Tuscany. Treat yourself as a knight, for a night! It features a large yard, an “ecologic” swimming pool and a very relaxed atmosphere. Relatively cheap (it is an “Agriturismo”), Castello di Spedaletto is perfect for visiting the Val D’Orcia, especially if you are traveling with kids. Tip: when reserving, ask for the rooms inside the castle, more scenic compared to the ones built in the old fortified wall. Here we move to Siena Countryside. 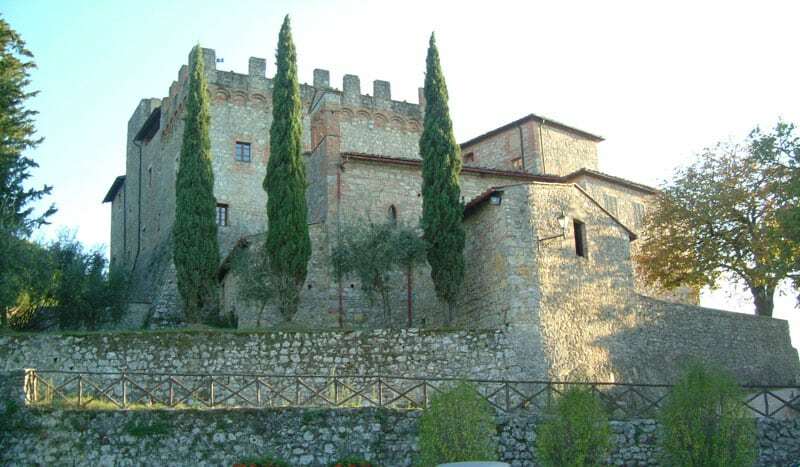 Castel Pietraio is a gorgeous castle from the XI° century. 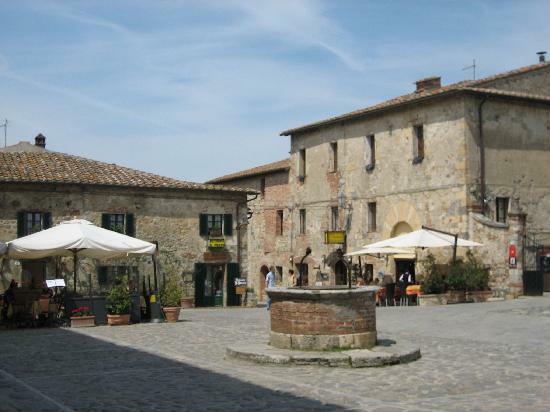 It is located in Strove, a very small hamlet close to Monteriggioni, and to the beautiful church of Badia Isola. Lovely vineyards and sunflowers fields surrounds it. 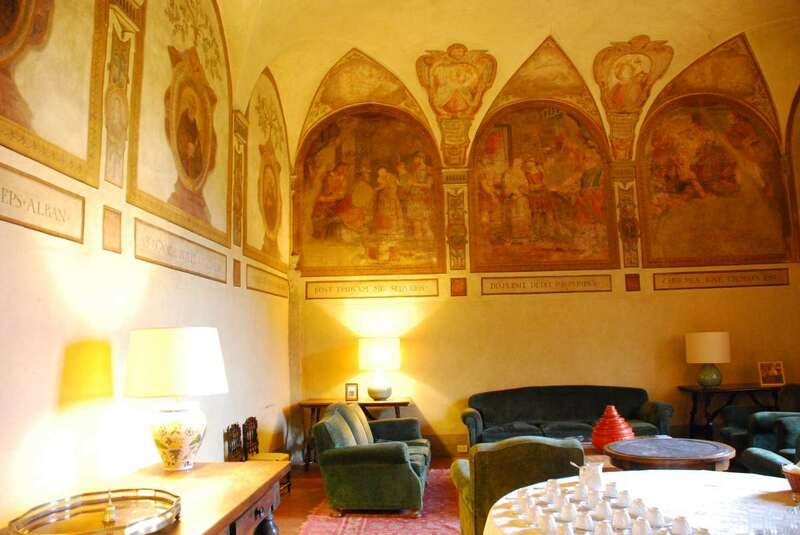 It’s a 4 star small hotel, still belonging to the original noble family (Barone Neri del Nero). Castel Pietraio is also a farm with an excellent vocation to quality wine-growing: you will be able to taste Chianti Superiore (of course! ), Chardonnay, Merlot and Vin Santo. A personal anecdote: this is the hotel I choose for me and my wife when we got married! 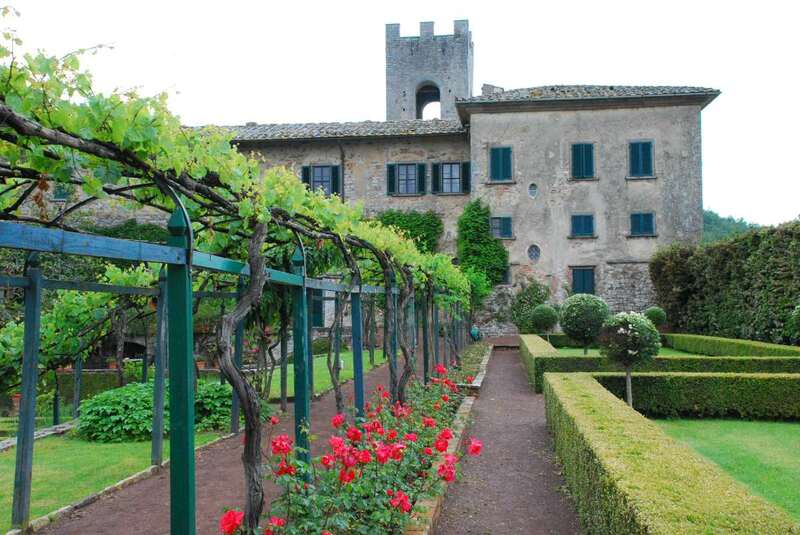 Massive, awe-inspiring, castello di Meleto stands in the beautifull Chiantishire valley, close to Gaiole in Chianti. Its striking location and its vaulted halls are often used to host weddings parties, but you don’t necessarily need to get married to sleep in one of the beautifully decorated rooms! For longer stays, you can also choose to rent a self catering apartment in the nearby dependence. Castello di Meleto produces an excellent Chianti, that you can taste in the modern wine shop after visiting the old cellars. HAve a look at my post Fascinating Chianti wine tasting tour to learn what to visit (and drink!) in the Chianti area. 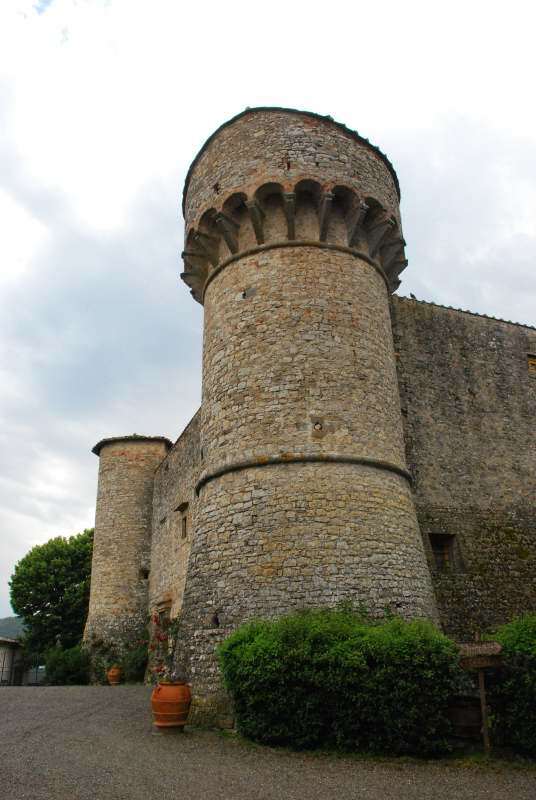 This is a fortified abbey, built in 1049 and transformed in a countryside villa in the XIXth century. It features a Romanesque church, beautiful cloisters, a gorgeous walled garden and huge cellars, as old as the abbey itself! Regarding your stay, you can choose between the 8 rooms and the 5 apartments. Badia a Coltibuono offers also wine tasting, cooking courses and local delicacies tastings. Hint: the abbey is 650 meters above sea level, which makes it a perfect place during summer. Winters and springs, on the other hand, can be really chilly. Strictly speaking, Monteriggioni is not exactly a castle, but a medieval walled hamlet located on a natural hill. Sienese built it in 1214-1219 as a front line in their wars against Florence. 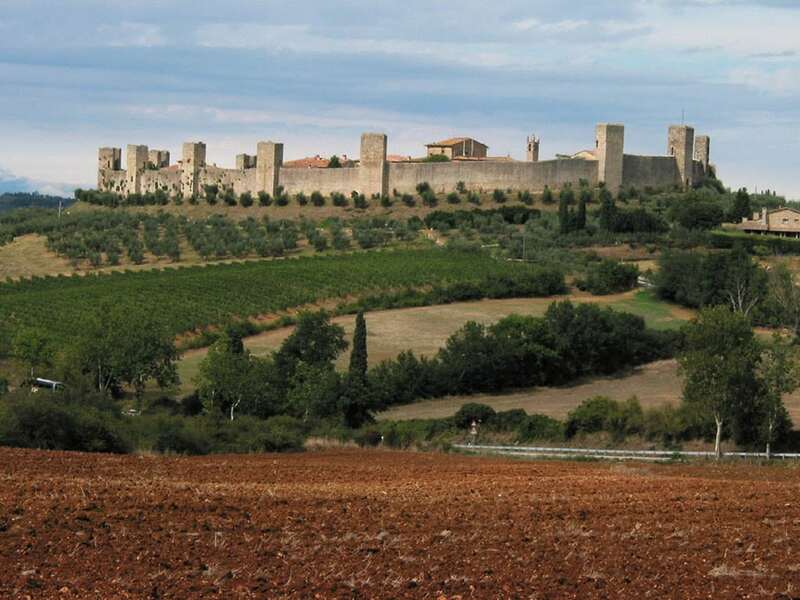 Said so, Monteriggioni is one of the most evocative medieval villages in Italy. Located 14 km from Siena. 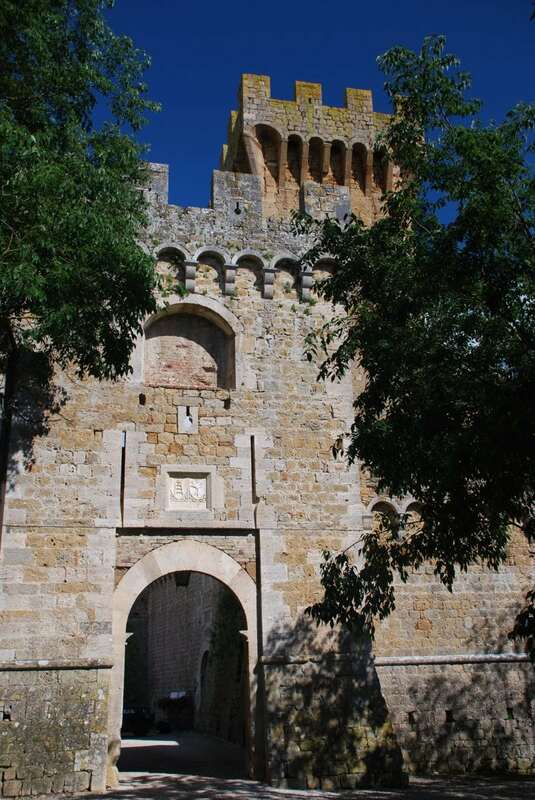 Monteriggioni has became famous for its fourteen towers’ walls which are among the best preserved all over Italy. Believe me, it’s one of the most scenic places in Tuscany, not to miss even if you decide to sleep elsewhere (which would be a pity, indeed!). Enjoy your night at the castle! I want it now! 😀 Ah, and I tryied to open your post about Pienza but the link is not working!